As part of the 2018 NYC Alumni Fall Weekend, join other NYC Catholics to celebrate mass. 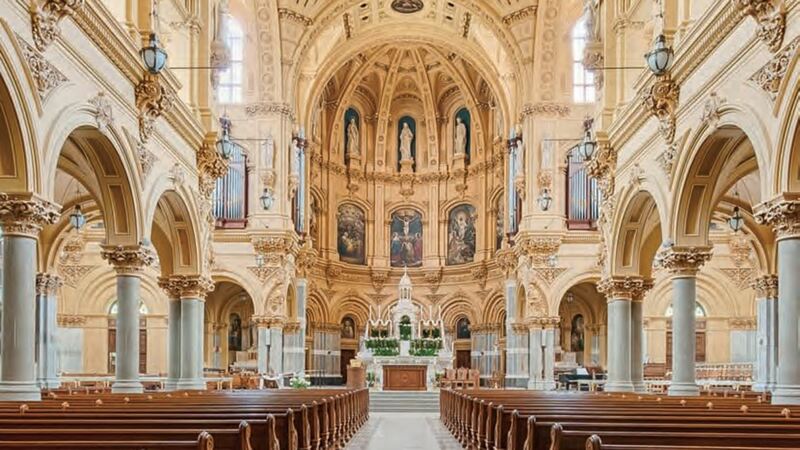 We are happy to have as our hosts the parish of St Francis Xavier, located at 46 W 16th St (between 5th and 6th Ave - directions: https://goo.gl/maps/K8FgjXb32812). St Francis has a very active LGBT ministry, and welcomes everyone to join in their services. Please plan on arriving around 11:15am so everyone can sit together. Pews will be reserved for GALA members and guests, so please register to give us a headcount. Following Mass we'll be going to brunch at Almonds at 12 East 22nd St in the Flatiron District, a mere 10 minute walk from the church. Please indicate in the registration if you might be interested.